Gambling is increasingly recognized as a fun, exciting form of entertainment. 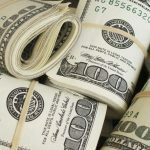 The industry has grown massively in recent years, with more and more countries legalizing gambling and an increasing number of people having access to casinos. 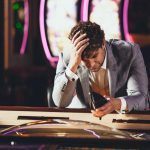 Las Vegas and Macau will always be gambling hot spots, but there are still plenty of other places around the world where people enjoy gambling. 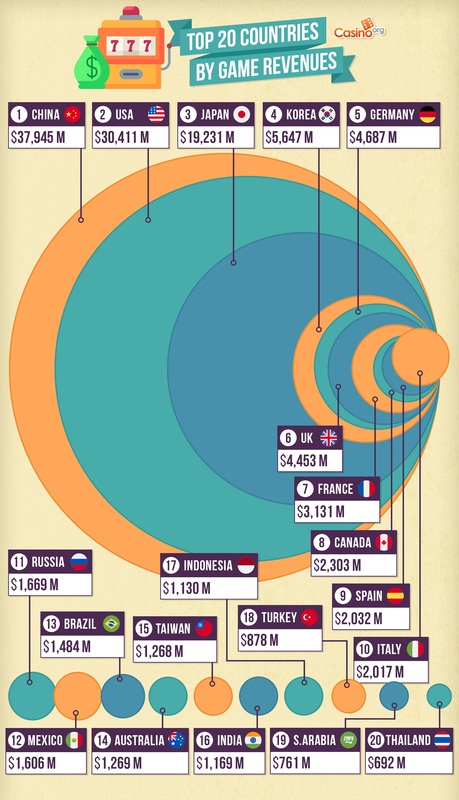 So which countries are the most profitable? While some countries seem to be the best overall for gamblers, others might actually have bigger payouts for players. Meanwhile, still other countries show the biggest profits for the casinos themselves, and get the greatest investments from developers. 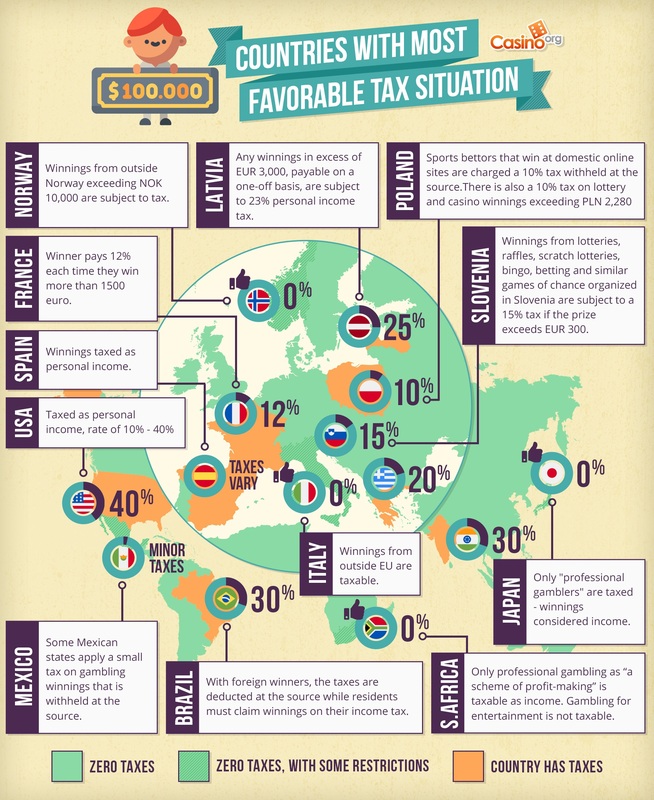 The vast majority of countries don’t tax gambling winnings, although there are some notable exceptions. In Spain and the US, it’s taxed as personal income, which means you could be charged at a rate of 10% – 40%. That said, if you can prove your losses, you could minimize your tax implications. In France, winners pay 12% tax each time they win more than 1500 Euros. Meanwhile, in Norway, only winnings from outside the country over NOK 10,000 are taxable. But when it comes to winning often and losing the least, it appears that Germany hits the jackpot. Beyond not paying any tax on gambling winnings, Germany has one of the lowest rates of betting losses per capita, despite having a large gambling industry. Combine this with a fairly low prevalence of problem gambling and it seems that Berlin might be the best place to play. Where Do Most Progressive Jackpot Winners Live? The odds of winning a progressive jackpot are pretty steep. In fact, at 1 in 7,484,400, the odds are tougher than your chances of becoming a movie star, getting a hole-in-one or being struck by lightning. But would you believe it, some of the luckiest people in the world are living in the same countries! 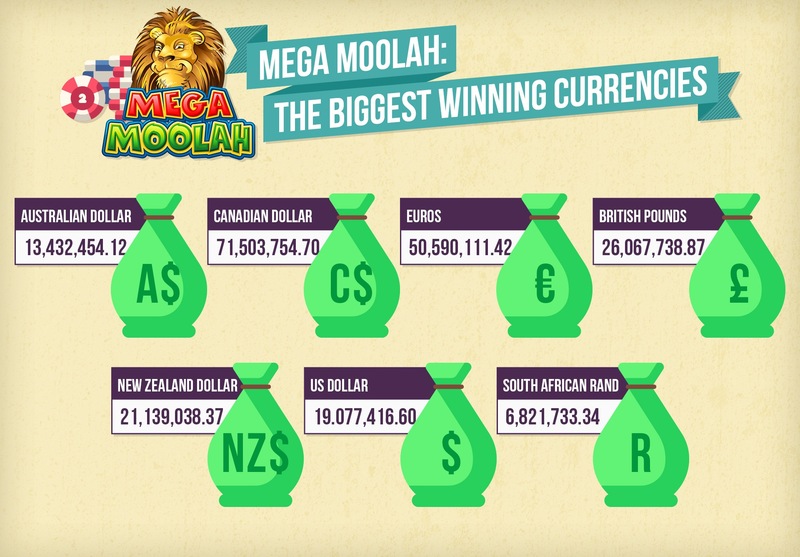 Looking across titles like Mega Fortune, Hall of Gods, and Mega Moolah, of the ten largest progressive jackpot wins three were based in Finland and another three were based in Sweden. Two hailed from the UK and the last two were both from Norway. Fortune might favor the brave, and it’s probably a matter of where these progressive slots are available and popular. But just maybe everyone should move to a Scandinavian country to boost their chances. When it comes to overall gambling profitability, no one comes even close to the US and China. The US is looking at profits of $30.4 billion, and China surpasses that with $37.9 billion. By comparison, the American movie industry brings in $11.4 billion at the box office. But these numbers look different when you consider which countries have the highest per capita profits. Here Australia comes in the top three, with an average $736 loss per person going right into operators’ pockets. These aren’t all at casinos, though, as Australia has a massive culture around pokies machines. There is one for every 114 people in the country, in fact. 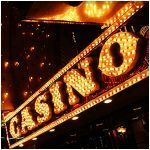 Where is Gambling Most Popular? As gambling grows in popularity, more and more people are taking part in this thrilling form of entertainment. Whether betting on a local sporting event or playing online poker tournaments, there are so many ways for people to get involved in the industry. You might think that gambling supercities like Las Vegas and Macau would give the US and China the biggest gambling populations, and indeed you can see the scope of their gambling economies on our world gambling stats page. 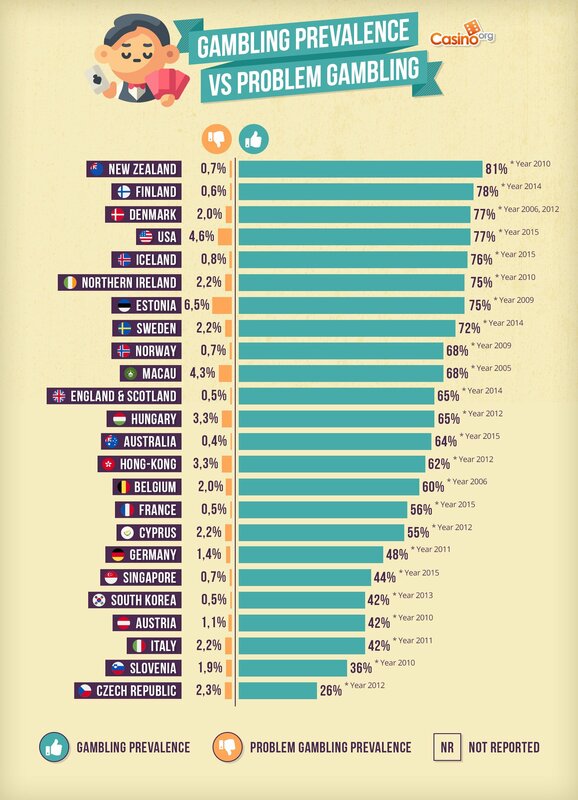 In actual fact, though, New Zealand is the country where gambling is the most popular. 81% of the population reports engaging in some form of gambling, with an impressively low 0.70% reporting issues with problem gambling. Gambling prevalence in the US is quite high, with 77% of the population involved with gambling. Of those, a relatively high 4.60% report problem gambling. On average, countries around the world have between a 45% and 75% gambling rate, with only a few countries falling above or below that level. Where are the World’s Plushest Casino Complexes? 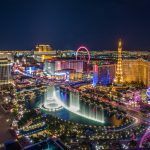 The largest investments by far have poured into Las Vegas, Macau and recently Singapore. 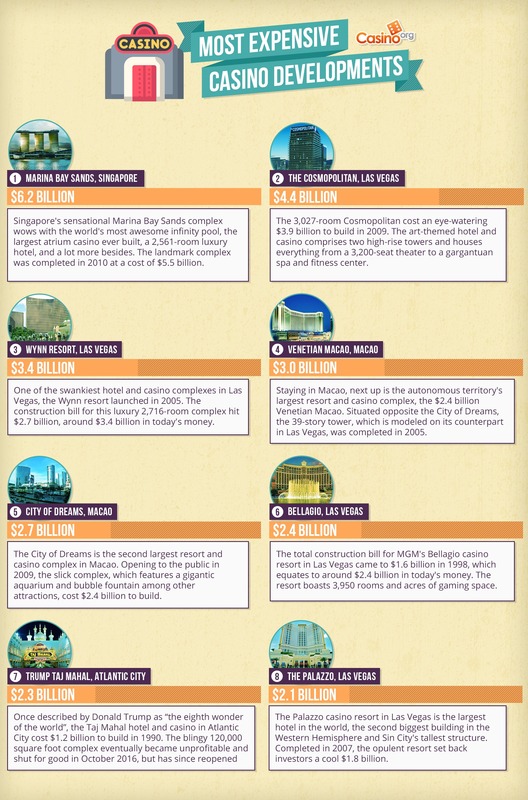 Casino developers have built mega casinos like The Cosmopolitan, Marina Bay Sands, Venetian Macao, and City of Dreams. Each have cost billions of dollars to build, but are set to bring in even more profits. But don’t only look at brick-and-mortar casinos. The growth of online casinos has already outpaced physical casinos and shows no sign of stopping. With an online gambling industry worth over $50 billion, it’s no wonder that casino operators are increasingly entering the virtual space. 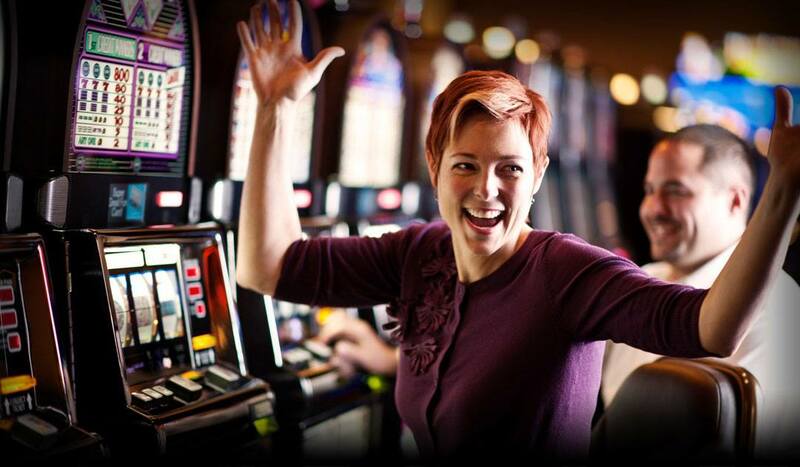 Online casinos bring the thrills to you, when you like and where you choose. As a result, we might see online gambling surpass all the rest in the coming years. Next Why is Gambling So Popular in Prison?